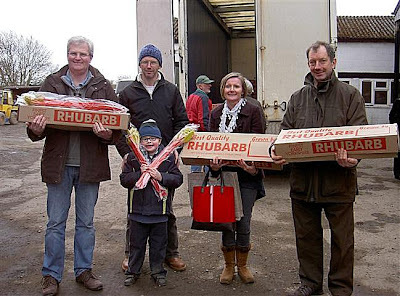 For our first event of 2012, on Sat 25th Feb some members of Food4MaccDirect went on a trip to visit E.Oldroyd & Sons Rhubarb farm in Carlton near Wakefield, West Yorkshire. They are the largest grower in the infamous 'Rhubarb Triangle' region selling both the early forced varieties, which are grown in candle-lit sheds, and then in Spring the outdoor main crop. 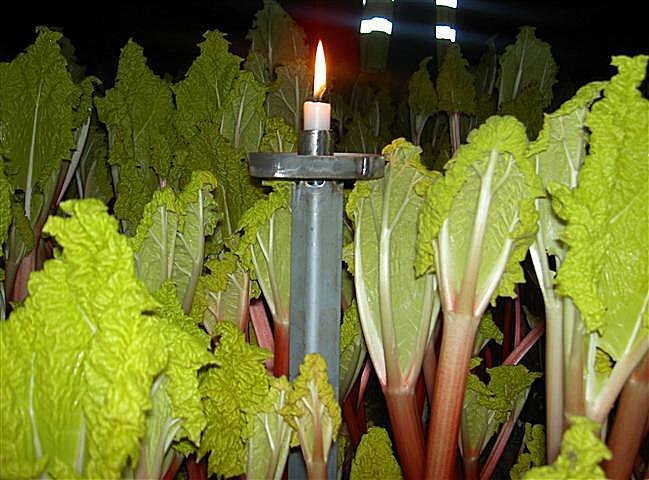 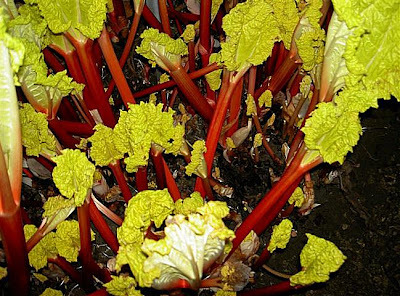 The tour included a history of Rhubarb, its origins, medicinal qualities and cultivation. There was also the opportunity to purchase it as well as various rhubarb products such as jams, chutneys and vinegar. As you can see from the photos we didn't go away empty-handed!